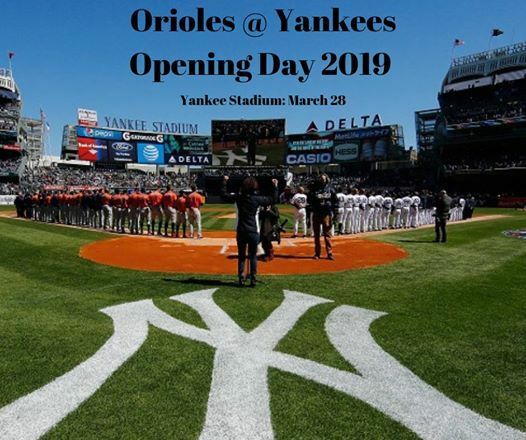 Join BMORE Around Town on our 1st Orange Road Trip of 2019 to New York to watch our Baltimore Orioles take on the Yankees on Opening Day March 28, 2019. Sit back and have a few cold ones, we will handle getting you to New York and showing you a great time! -Miller Lite/Coors Light/Blue Moon/Water and Chick-fil-a Breakfast will be stocked on the Bus! Already have your game tickets? Jump on our Ride-Along Package for $89. 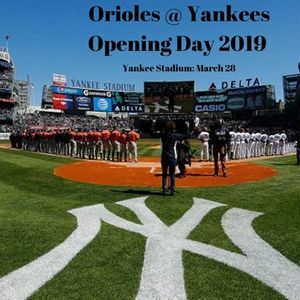 We hope you can join us as we head to Yankee Stadium to show them how well we support our Birds! There will be two departing locations: White Marsh Park & Ride and Southwest Park & Ride in Catonsville.